Missed Jack White at Pilgrimage this fall? Here’s your second chance. 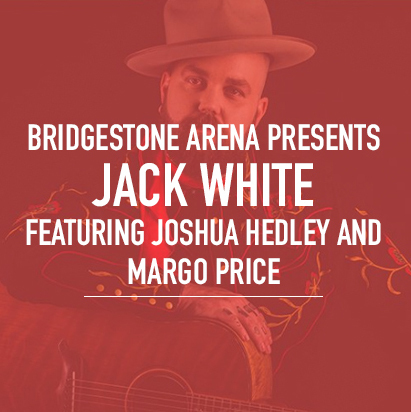 Jack White will be performing at Bridgestone Arena to finish out his Boarding House Ranch tour next Tuesday. He’ll be joined by special guests (and two of our fave past features) Margo Price and Joshua Hedley. It’ll be a night of country, rock, and everything in between—Third Man Records style. And since Bridgestone Arena is an indoors, you can be sure there’ll be no rain cancellation. Get your tickets here and find more info here.